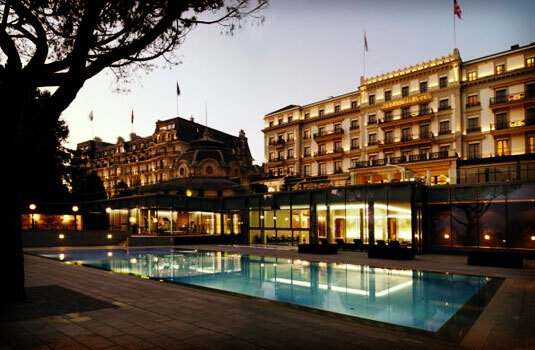 Share the post "Les Roches MBA students carry out research for Beau Rivage Palace"
The MBA students of Les Roches International School of Hotel Management are doing more than following their classes at their school. Thanks to the school’s excellent relationships with the hospitality industry, Les Roches students are able to use their academic knowledge obtained by doing research projects to leading hotels and companies in the world. In the first semester of 2011, 49 students carried out research on a special project for the famous hotel in Lausanne, Switzerland. As one of the leading hospitality management schools in the world, Les Roches has close contacts with the hotel located at the Lake Geneva shore in Lausanne-Ouchy. Since early 2010, the MBA students are working on a project with the Beau Rivage Palace. This time, the Les Roches students did research on how the Beau Rivage Palace could increase the guests from the ‘BRIC’ countries: Brazil, Russia, India and China. Early May, they had the honor to present their outcomes not only to the management team of Beau Rivage Palace, one of the leading hotels in Switzerland, but also to Les Roches Alumnus and Beau Rivage Palace General Manager Lucas Johansson. A total of four presentations took place, each of them focused on one of the BRIC countries and including inside advice for the senior management of the Beau Rivage Palace. The partnership between Les Roches and the Beau Rivage Palace is one of the many examples showing the excellent relations of the hospitality management institute with leading companies in the hospitality industry. In addition, top international hospitality companies and hotel chains are coming to Les Roches each semester to recruit future graduates. In a global survey of 5-star hotel hiring managers executed by Taylor Nelson and Sofres, Les Roches was ranked number 2 among all international hospitality management schools for an international career.